Truly, it is no secret that we are living in unprecedented times. The unfolding of history in our century has been so remarkably fast and at times shocking, as societies, nations and whole cultures have been shaped and reshaped in a single generation. For the first time in 1,900 years, the world and the church are faced with the phenomenon of restored Israel …and as the social, political and strategic challenges surrounding Israel seem enormous they are nevertheless small in comparison to spiritual implications of her resurrection and survival. ISRAEL and the CHURCH are at present deeply divided …but the two are destined to be restored as one single ELECT and CHOSEN PEOPLE. Moses and the Apostle Peter both spoke of this in; Exodus 19:6 and 1 Peter 2:9. They are to become; “a Kingdom of Priests” and a “Holy Nation!” However, the whole subject of Israel and the Church has been problematic since the days of the early Church. The Apostles Peter and Paul both wrestled with the matter. Both led the way in seeing the Gospel of Christ preached beyond Israel's borders. And the Day of Pentecost in that epic Crucifixion year saw the Holy Spirit outpouring come down in a glorious flooding rain. The Holy Spirit overflowed out of Israel and into the heathen nations. Within 200 years Gentiles outnumbered Jewish (Messianic) Christians. Soon the only real connection the Church had with her Hebrew roots was in her Jewish Messiah. In 325 A.D. the Church accepted the invitation of the Roman Caesar Constantine and many decided to “go up” to Nicaea …and allow the pagan Roman leader to officiate for them instead. Then it was all over, and the Church has never been the same since that time! 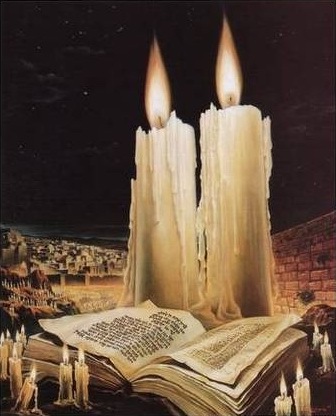 Picture: Candles at the Western Wall by Jewish artist - Eizen. Most doctrinal errors are born when an over emphasis is placed on part of a truth rather than on the whole. It is like trying to put together a puzzle; trying to decipher the whole overall design by looking into the many and varied pieces while ignoring the picture on the box which alone provides the complete design. In the same way, inside into the mystery of Israel and the Church can come only as we consider the "Big Picture," thus understanding God’s overall design. There is NO greater "picture" than that of the summing up of all things in the Messiah, things in the heavens and things upon the earth. (Ephesians 1:10) All things, ages and realities find their true essence in Yeshua alone and will come to their true fulfilment in Him only. Yeshua (Jesus) is the beginning and the end of all things. He is the reason, the means and the purpose of all creations. Whatever is not - "from Him and through Him and to Him" (Romans 11: 36) is not real but is merely a fleeting illusion! Why did God go to so much trouble to tell us what is going to happen in the future? Two thousand years ago the people who asked these very questions were the ones who were looking for the coming of Messiah. Today we ask the same questions - but we are that much closer! The signs are all around us… but few are seeing them. If this same question was asked by the Lord’s Disciples two thousand years ago and they were expecting the Messiah to return soon and why had He not returned sooner? Firstly, nothing could happen until other prophecies were fulfilled and Israel had to be back in the land – this happened in 1948. Let’s look further! Our God is the God of "new beginnings." God’s character and nature is Eternal! For believers ETERNITY is a difficult thing to grasp as we live on an earthly realm where everything has a beginning and end …but "Eternity" is a quality that has NO end and also NO beginning …it simply was and will always be! We sometimes think of "Eternity" as heaven which is a place where time as we know it simply does NOT exist. According to the theory of Albert Einstein one of the greatest Jewish Scientists that ever existed – "the faster you go; the slower time passes!" If we were to travel at the speed of light, a very high speed, such as in a spaceship we would observe an extreme time lapse with everything 25 times faster and so when we return to earth everything would have moved on 25 years – we would have only aged one year but everyone on earth 25 years older. Albert Einstein also recorded that at the speed of light, which is impossible on earth, only in space a "hyper-time" elapse would occur which would show everything on earth happening simultaneously and as we know it on earth – would no longer exist. You see when God looks at events on earth, He is NOT confined to our time-space perspective as "time" as we know it was created by God and is "light!" God exists outside our "time" In John 1:9, the Lord Himself is "light" outside the restraints of earthly time and so "time" in His Heavenly realm does not matter – it’s ETERNAL! Yeshua (Jesus) said to His Disciples; "Before Abraham was I am. "- John 8:58. God knows us and even called us before creation (Ephesians 1:9) and before time began (2 Timothy 1:9). How amazing is this? Just think about this again – before the earth and universe existed, God already thought about us and had us in mind! Wow! That’s huge and gives meaning to our lives and to reason why we exist. What is even more amazing is that our merciful and loving Abba Father knew that humanity would fall, make wrong decisions, and even rebel against Him …and would need His "saving grace" in order to reach our individual God-given destiny. Before creation and time had begun God provided an "eternal" remedy through the blood of Yeshua (Jesus). Revelation 13:8 describes Yeshua as "…the lamb slain from the foundation of the world." Yes, the cross of our Lord was NOT "a plan B" or "emergency scheme" of an all-knowing God …but was on His plan before "time" began and so Yeshua (Jesus) was the focal point and central plan of "time" and history! Not only did God see the start of our earthly lives but also knows when we will finish our time on earth which is compared to just a "vapour" compared to "eternity" with Him. It is no doubt that God’s council and pre-ordained plans will stand as we draw towards the close of history. It’s so encouraging to know that we serve an "all-knowing" and "all-seeing" God who knows - the end from the beginning! There is NO doubt that our God has His Council in the Nation of Israel which began timelessly and is unshakable as Israel is the foundation and purpose on which the whole world stands. God’s plan for Israel began after the flood in Genesis 6, after Noah’s family left the Ark with his sons; Shem, Ham and Japheth. Rabbi’s count 70 families and clans which originated from the sons of Noah” (Genesis 10:32), describing the nations of the world as follows; The European clans from Japheth (Genesis 10:5), the African clans from Ham (Genesis 10:20) and Shem clans from the Middle East (Genesis 10:31). After the flood, God committed to NEVER again destroy these families again with a flood! However, the very next chapter, describes that even after the flood judgement, mankind rebelled again and would NOT worship God as “pride” with their own interests their primary concerns. And, this is where Israel’s history began, since God promised NEVER to destroy the earth again with a flood – He decided instead to provide a way of salvation for sinful mankind! God called Abraham and prophesied to him that in him ALL the families of the world will be blessed and so a line of hope for the families began. The Apostle Paul later in the New Testament recognises God’s establishment in the lineage of Abraham was the starting point for God’s salvation for ALL the families, tribes and languages (Galatians 3:8). The Apostle John was supernaturally taken out of the earthly realm and time-frame …and was able to see the “END from the BEGINNING and he was amazed to see all the families of Noah united in heaven worshipping; “the Lamb of God!” “After these things I looked and behold a great multitude which no one could number of all nations, tribes, people and tongues, standing before the throne and before the Lamb, clothed with white robes, with palm branches in their hands and crying out with a loud voice, saying; ‘Salvation belongs to our God who sits on the throne, and to the Lamb.’” – Revelation 7:9-10. What started in Genesis and even existed before the foundation of world now finds completion! This amazing truth that God already knew our end before our lives began should give us the greatest encouragement that nothing is going to happen that God is not aware of. Yeshua (Jesus) is the “beginning and the end” – the “Alpha and Omega” (Aleph ve Tav) and there are NO surprises or emergency meetings in heaven because our God is the God of history who says not only about Israel but about all our individual lives; “I am God and there is none like Me, declaring the END from the BEGINNING, and from Ancient Times things not yet done, saying; ‘My council shall stand, and I will do My pleasure!” – Isaiah 46:9-10. So, how amazing is it that we read about the “beginning to end” perspective repeated firstly in the Gospel of John (John 1:1; I John 1:1) …and comes to light particularly in the last chapters of Revelation (Revelation 1:8, 17). The first two chapters of Genesis; describe Creation and Eden - whereas the last two chapters of Revelation; describe the “restoration” of Creation and Eden …and there is a special addition about; “heavenly Jerusalem” (Revelation 21:9-22:3). Glorified Jerusalem becomes the centrepiece of the “restoration” of Paradise. Heaven and earth come together just as heavenly and earthly Jerusalem come together. The glorious destiny of both Eden and Jerusalem are one and the same! (Revelation 21:1-2; 22:1-2, 14,19). The unification of Jerusalem and Eden comprises the last revelation of Scriptures. The last two chapters of Revelation unify the two great Biblical themes of Eden and Jerusalem. This rather shocking perspective unifies the plan of the Bible, from “beginning to end!” In the Garden of Eden; God planned for the people to multiply, fill the earth, and eventually form a perfect society with a perfect King. The capital of that kingdom would be at the centre of the paradise. The garden of paradise and the capital of the kingdom are one and the same. Adam was expelled eastward out of Eden; Abraham was sent back westward to Canaan. 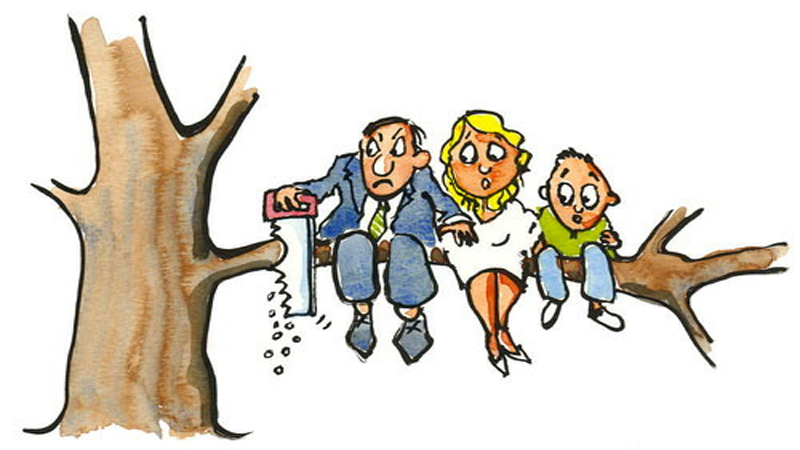 Adam sinned at the tree in Eden; Yeshua (Jesus) had to be hanged on a tree in Jerusalem to reverse the sin of mankind. Abraham had to offer his son Isaac at the same location and David had to build his temple there! From earthly Jerusalem Yeshua rose into heaven, and there He will return to set up His kingdom on earth. Ultimately Eden WILL be restored, along with all creation, with Jerusalem at the centre. The restoration of paradise, the glorification of Jerusalem, and the unification of heaven and earth all come together at the end of God's plan. In this century alone, we have witnessed the resurrection of the Nation of Israel… No other group of people can claim or prove their natural lineage for so many thousands of years, not even the ancient Chinese people. Their historical background is chiefly cultural whilst Israel’s is a clear demonstration of an un-interrupted national identity. None of the ancient Biblical nations still live today. Do you know any Babylonians? Have you met a genuine Moabite recently? Yet the Jew is still walking in the face of the earth! Such a phenomenal is unquestionably supernatural and, in order to gain understanding, we must direct our search towards the purposes and promises of our Sovereign Lord. His word alone is responsible for the preserving of Israel throughout 2500 years of captivity and exile, His word is also responsible for their present restoration. This national restoration of the people to their land has a spiritual counterpart. We find that for every move of God toward ethnic Israel has been a parallel move towards the church. Consider the witness of history. Israel has played a singular role in the salvation story of humanity and they gave us the Word of God and their Messiah (and ours) Yeshua, brings light even to the uttermost part of the world as the “seed of Abraham.” Yeshua (Jesus) became the central focal point of “time” and “history” and that is the Church will ALWAYS be indebted to Israel and the Jewish people for giving us our Jewish Messiah! Israel, the church …and the destiny of the nations also have NO reality apart from the Messiah. The resurrection of ethnic Israel in our century is not accidental. Indeed, the mystery of God in Messiah as it unfolds in these Last Days encompasses the drama of “His Bride” drawn from among the nations …and the national and the spiritual resurrection of the people of Israel in their land. And, as the Father is summing up all things in His Son, it is in His heart to bring forth at the closing of this age a most glorious demonstration of His new creation, the “ONE NEW MAN” (Ephesians 2: 15). This creation, which is neither Jew nor Gentile, but is derived from both, is taking on the very nature and life of the Son of God. Thus, in this ultimate display of both humility and unity, the full blessing of everlasting life will find its richest, most glorious and eternal expression (Psalm 133). The Mystery of the One New Man; Jew and Gentile… Before the church can come into a full understanding and appreciation of who ethnic Israel is, and before Israel can fully come into the embrace of the Messiah, there MUST be reconciliation of the two. The fact is that both parties have failed the Lord and each other; they are in need of healing and restoration …and MUST extend forgiveness in order to be forgiven! Just as the Jewish people, according to Scripture (Ezekiel 36:16–23), have defiled themselves and the land with uncleanness and unbelief …so has the church forsaken her foundational devotion to the Messiah and grazed for centuries in the fields of secular humanism and worldly doctrines. It is our belief that God is drawing Israel and the Church into the precious and glorious oneness of the One New Man spoken of in Scripture …but, yet for reconciliation to fully have its redeeming impact both peoples MUST humble them and receive the forgiveness of one another and of God! You see, just as the Church needs Israel so too does Israel need the Church. Today the greatest supporters of Israel are the Judeo-Christians who stand with and finance needs in Israel for God’s chosen people. Israel realises this too! It’s just like two family members needing to be reconciled …and the missing piece here is Yeshua (Jesus). As we prayerfully look into the unfolding drama of Israel, the maturing church, and the coming together of the two, we face, by necessity, the deepest, widest, and most ancients of divisions in fabric of humanity. There has NEVER been a more separation with such devastating results than the one between Jew and Gentile. The separation that exists between the two peoples started as soon as God called Abraham to become the father of a nation (Exodus 19: 5–6). As is often the case the setting a part of the one nation (Israel) distances itself from the others and becomes somewhat exclusive. Indeed, the Nation of Israel was placed on the lonely path! In the midst of global anarchy, has all humanity opposed God, denied His Lordship, and resisted His messengers? The Nation of Israel was sovereignly created by God and by grace …for the work of GRACE! Our Covenant keeping God has NEVER abandoned Israel! The Church will be healthy only when it grieves for the Jewish people... 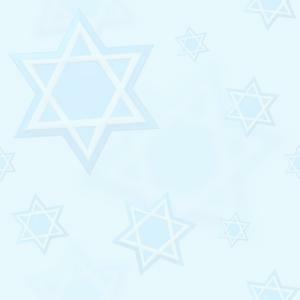 The Jewish people have suffered for their sins against God. And the Jewish people have suffered because of mankind’s sins against them. For all this suffering, the Church must grieve. Yeshua (Jesus) still weeps over Jerusalem. It is hard to understand how children of God claim to know His voice so well never seem to hear Him cry. Believers throughout the world are crying out; “Maranatha! O Lord come!” People from every nation are praying for the Messiah’s return …but He is waiting for something very important to Him. He must be received by His brothers. Until then, He will not come! Jerusalem, standing for Israel and the Jewish people, must welcome Him Back. Our Jewish Saviour sends this message through the Church… “Ask My Jewish people, ‘You are My brothers, My own flesh and blood. So why should you (Israel) be the last to bring back the King?’” Israel the world is waiting for you! John said that when the Lord comes back on the clouds; “every eye will see Him” - Revelations 1:17. But Yeshua said to Jerusalem; "O Jerusalem, Jerusalem, the city that kills the prophets and stones those who are sent to it! How often would I have gathered your children together as a hen gathers her brood under her wings, and you would not! See, your house is left to you desolate. For I tell you, you will not see me again, until you say, 'Blessed is he who comes in the name of the Lord.'" - Matthew 23: 38 -39. The Lord must be received as the Messiah by His very own people before He will return to Jerusalem. Only the family of David can welcome the Son of David back to the City of David. This simple conclusion is inescapable … If every eye will see Him when He returns, and if Jerusalem will NOT see Him until she welcomes Him back, then NO eye will see Him until Jerusalem receives Him! All eyes worldwide today are already on Jerusalem. Soon they’ll focus on Jerusalem’s King! It is a privilege and a responsibility for the Church everywhere to intercede for what God is sovereignly doing by His Spirit in the land of Israel …and to pray for the peace of Jerusalem (Psalm 122:6). Replacement Theology is dripping with Jewish blood... It has thrown up a series of murderous anti-Semitic histories and it has gone on for 1700 years. The church is not guiltless and has not renounced this doctrine and nor has it apologized. History has witnessed church sponsored Crusades, the Spanish Inquisitions and the Pogroms of eastern Europe and in Germany sang “silent night” while Jews were being led to gas chambers by Hitler’s and his Nazi’s. 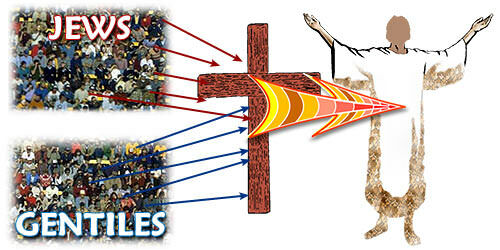 Anti-Semitic elements have also energized much of these last days with the raging of nations! In the 7-year Tribulation (Daniel 9) there will a great End-Time Revival. At the very same time many will fall away from the faith they once claimed in a “great Apostasy” and both will be happening concurrently. In those days, among true believers, the great hidden secrets of God will be unveiled, and all the mysteries of Israel and the Church will unfold. We shall see a remnant Israel and a remnant Church knit together as “one in Messiah.” At that time the two houses will become one remnant Elect. The partial blindness of Jewish Israel will end, and they will “see” and recognize their true Messiah, Yeshua (Jesus) even as the fullness of the Gentiles is brought in. The Jewish House of Judah will be saved just as Zechariah foretold (Zechariah 12:7-13:1) …and yes, they will be reunited with the Church! The Church will also have her eyesight healed and she will look in the mirror of God's Word and see herself as she really is …the cross-linked Congregation and Commonwealth of Israel (Ephesians 2:12-13; Romans 11). From Genesis 12 to the end of Malachi we witness the specific and exclusive dealings with God with one nation only... Israel was the sole recipient of the Revelation of God; His favour; His blessing and YES, His chastisement. Just as the testimony of the Old Testament records God’s dealings with humanity through one chosen nation, Israel - so the testimony of the New Testament clearly displays the expansion of the divine plan. The Holy Seed of God was planted in the earthen womb of Israel …and the Messiah was born! As He, in turn fell into the ground as seed and was raised again, the Church was born! (Hebrew 1: 1–2) Every genuine work of God must involve planting the seed, waiting for gestation, and then, in travail and labour - the birthing of the new creation. As we consider the appearance of the Church of the Messiah Yeshua (Jesus) upon the earth following His resurrection, we must recognize that this Church did not drop from Heaven nor was it created in a vacuum. The Church, the company of the redeemed who were washed by the blood and sanctified by the Spirit was born. The birth of the Church necessitated all the above. The “Divine Seed” had to fall into the ground and die in order to bear fruit, and the womb out of which the Church came forth …was none else but the national frame of Israel. While many acknowledge Israel’s physical exile of 1,900 years (a remnant of Jews always remained in Israel) until 1948 …only a few recognize that the nation also experienced a spiritual exile as well. 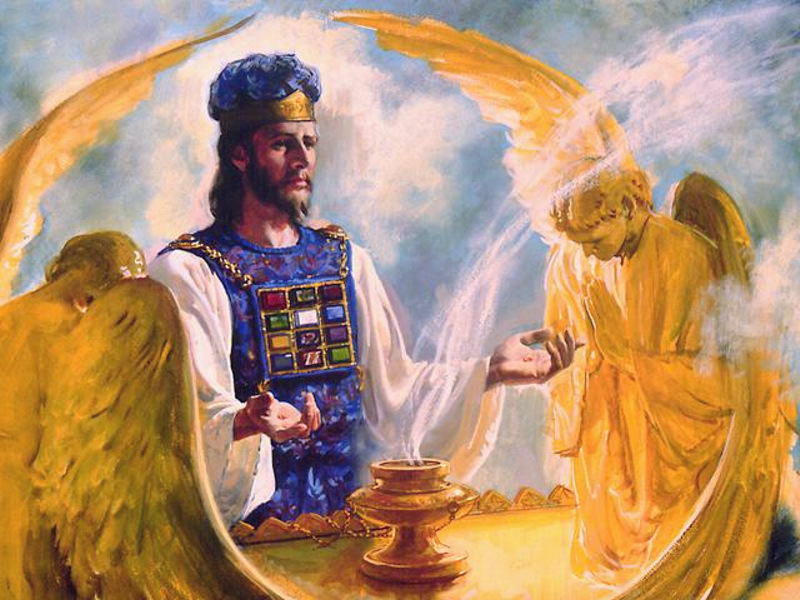 The calling, the exclusive standing with God, and the anointing now passed to another at the turn of the Christian era. Out of Israel, God birthed the Church through which to demonstrate His kindness and His purposes to a lost world and so the Church stepped into Israel’s role as priest …but God never abandoned Israel. As in any birth the intensifying pains, the trauma and the laying down of one’s life took their toll. Israel, now an exhausted bloody womb, collapsed and was taken out of the way. The young Church vibrant and anointed spread her across the heathen nations, bringing the life of heaven in her wings. But, what about the old womb - Israel? It was not to be forsaken forever, was it? “God has not rejected His people, has He? May it never be?” – Romans 11:1. 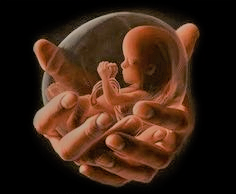 That historical womb is to rise one last time on the face of the earth in order to birth the last of God’s new creation, even as He did the first. The very nation that once gave birth – now is in need to be birthed by another. Who will provide the womb? There is a young and loving Church whom God is calling forth to lend her womb as a chamber of travail and tears to old and hopeless Israel who is destined to give birth one last time at the End of the Age. And, as that which she birthed at the 1st Century transformed the world so shall it be in the last; “Hear this cry, “we are pregnant, we writhed in labour, we gave birth, as it were, only to wind. We could not accomplish deliverance for the earth nor were the inhabitants of the world born” Isaiah 26:18. All her labours, her sacrifice and her suffering century after century produced absolutely nothing. The 6 million who died in the Holocaust brought no deliverance for the earth, and 70 years of national suffering and sorrow gave birth as it were only to wind. Nothing was accomplished spiritually. “Your dead will live; their corpses will rise. You who lie in the dust, awake and shout for joy, for your dew is as the dew of the dawn, and the earth will give birth to the departed spirits.”- Isaiah 26:19. BUT, as the prophecy unfolds there is hope and a promise of resurrection life and through the old vessel – Israel! Israel is in need of a womb; a living, loving, life giving womb. What is the Church becoming – “Leavers” or “Cleavers” (Orpah’s or Ruth’s) …? The line which is the revelation and the commitment of God’s design is being drawn these very End Time days in the heart of Christianity. Compromise and fence riding will NOT be tolerated on this issue as the stakes are too high, and the consequences will either mean glory or shame. It’s time for the Church to stand with Israel and recognise her Hebraic Roots! 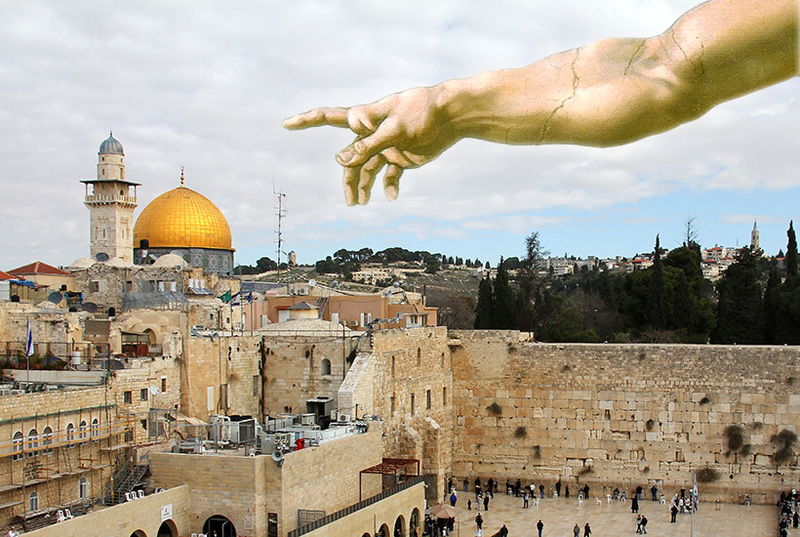 And, it’s time for the Church to stand with Israel and the Lord’s brethren – the Jews! This is Israel’s historical cry. The nation that was called to represent God, to accomplish deliverance for the nations to be a blessing to ALL the families of man, is crying in frustration! The church was anointed and commissioned to carry the testimony of the living God to all creation. Healing, Forgiveness and Divine Acceptance were carried throughout the lost nations of a dying pagan world. 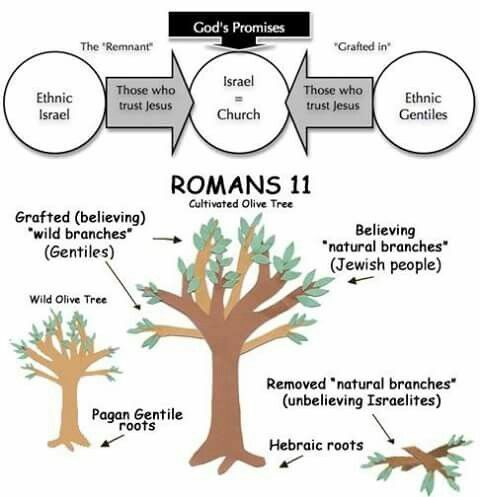 As the Church declared and demonstrated the Kingdom of God …the ancient division between Jew and Gentile resulting from Israel’s election was still NOT bridged. The deepest of all divisions; the one between Israel and the Nations, worked its way into the redeemed, finding even more poisonous expressions within the church! Whole Jewish communities were forced into physical ghettos in the 1st Century in order to heighten the effect of their distinctiveness and cut them off from the Gentile world. If Jew and Gentile remain un-reconciled in the truest and deepest meaning of Christian harmony, there will always be various divisions throughout the Body of Christ. Thus, the root of all divisions is hidden in the ancient soil of hostility that still exists between Jew and Gentile, between Israel and the nations. This cursed soil has produced nothing but thorns and thistles for millenniums, worsening their breakdown. But, the blood of the Jewish and Gentile Messiah Yeshua (Jesus) even the soil can be cleansed. By the Word of God our minds can be changed, and by the Spirit of Heaven our hearts can be created new. Was it not the Lord’s own prayer in John 17: 21–23 that they may all be one? During times of great Jewish suffering right up to this century much of the church has remained indifferent to the Jewish people’s pain... For this sin too, we must take blame. These are the seeds of anti-Semitism that fester among believers today. Many support BDS and stand with and even support the unholy Palestinian statehood which would mean giving away the land God chose to the enemies of Israel. For all these things too, we must repent. We are convinced that international Christian repentance for the church’s past (and present) sins against the Jews will lead to International Jewish repentance. Yeshua (Jesus) cried out on the cross; “It is finished!” - John 19: 30. However the consummation of His finished work was to cover the span of the whole Christian era, with great concentration of “prophetic” fulfilment at its very end and thus, the reality of the “One New Man” pressed upon us these very days! Paul, in his appeal to the Ephesian Church was to properly recognize their glorious position in Yeshua HaMashiach (Jesus Christ) …and their place in the Body, placed a special emphasis on the term - “One New Man!” (read Ephesians 2). Paul continues to explain; that God through Yeshua (Jesus) abolished the enmity between Jew and Gentile, broke down the dividing wall and made both groups into one. (At this stage we must remind ourselves that God did NOT break His Covenant with the Jews) It is only by the Cross of the Messiah that these two un-reconcilable groups, who were locked in mortal animosity and conflict, were brought into “One Body.” In fact, so profound is the unity of this new body of redeemed persons that the scripture testifies; “through Him we both (Jew and Gentile) have our access in one Spirit through the Father.” - Ephesians 2: 18. Thereby establishing this unity as Spiritual in nature! God’s Word is true! He IS watching to see how the nations are treating His people. God will have mercy on Israel through Gentile believers acting as mediators towards them. This is one of the most amazing revelations ever given to the church – an opportunity to do something that carries the highest priority in the heart of God. Yet, sadly, so few have seen the potential and the rewards of serving God in this manner - as agents of mercy to Israel and the Jewish people! Israel was and still is despised today and a despised nation continually turning away from God BUT nothing ever altered the purpose of God for that nation. The despised element is always a noticeable element in the purpose of God. When the Saviour of the world came, He came of that despised nation; like Israel… He Himself was “despised and rejected by men,” …and there is that despised element; “…things that are despised God has chosen,” 1 Corinthians 1:28. Now, more than at any time is the time to support Israel and the Jewish people - the Lord’s Brethren! We are witnessing the nations and people turning their backs on Israel. Thank you once again for your prayers and generous support! We sincerely believe that God has raised up Pray4Zion and all the Partners at this very important time in History, to STAND with Israel, be the VOICE, and bring awareness to the Body of the Christ. To all our precious Partners we would like to thank you for your continual support to Pray4Zion and the Jewish Nation, Israel.